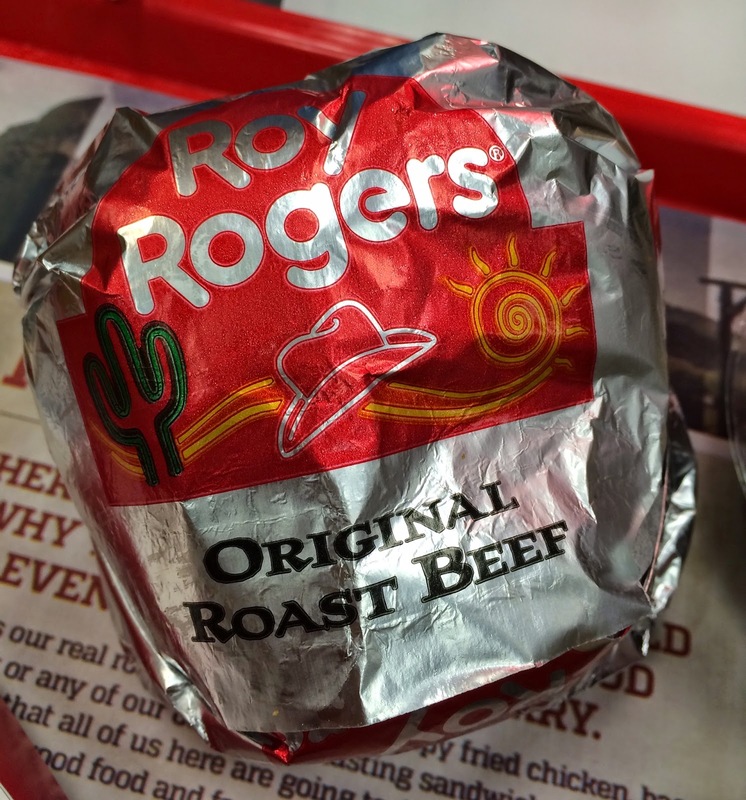 We had several bathroom and food stops on the way back from Montreal, and one of the places had "Roy Rogers" and it's my first time to try their food. 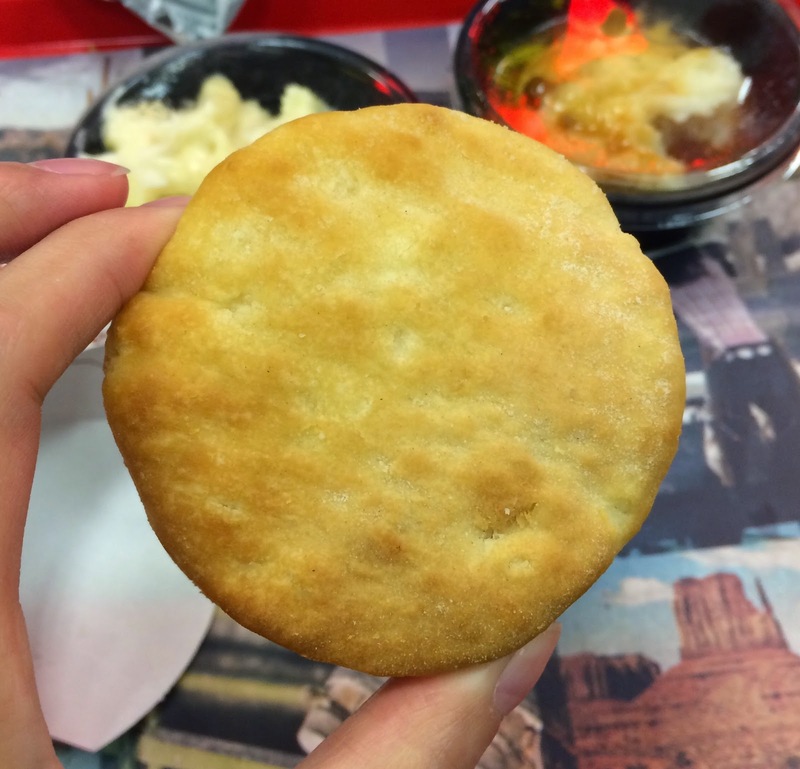 Roy Rogers is a fast food chain operated in Mid-Atlantic and Northeastern United States and founded in 1968. 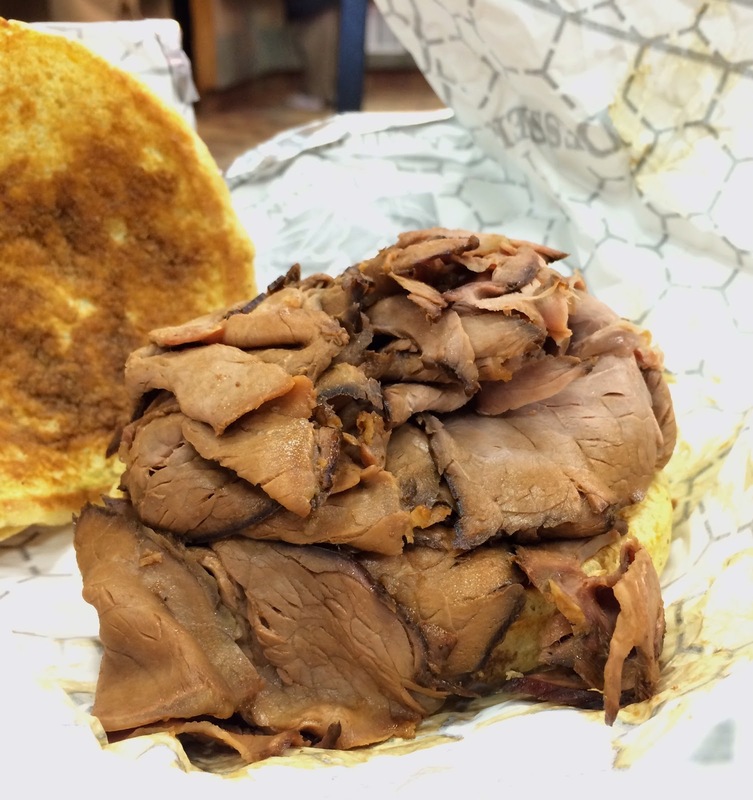 They sliced beef thinly to order in the kitchen, which was surprising to me as it's a fast food chain, I thought they'd used already-sliced beef. 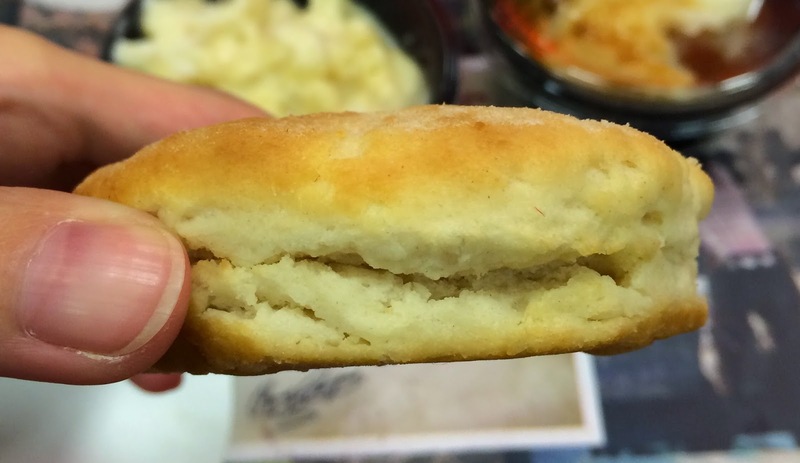 The buns were about the same size commonly seen at other fast food restaurants or a little bit bigger. And there're some twisted lines on the top similar to xiaolongpao. 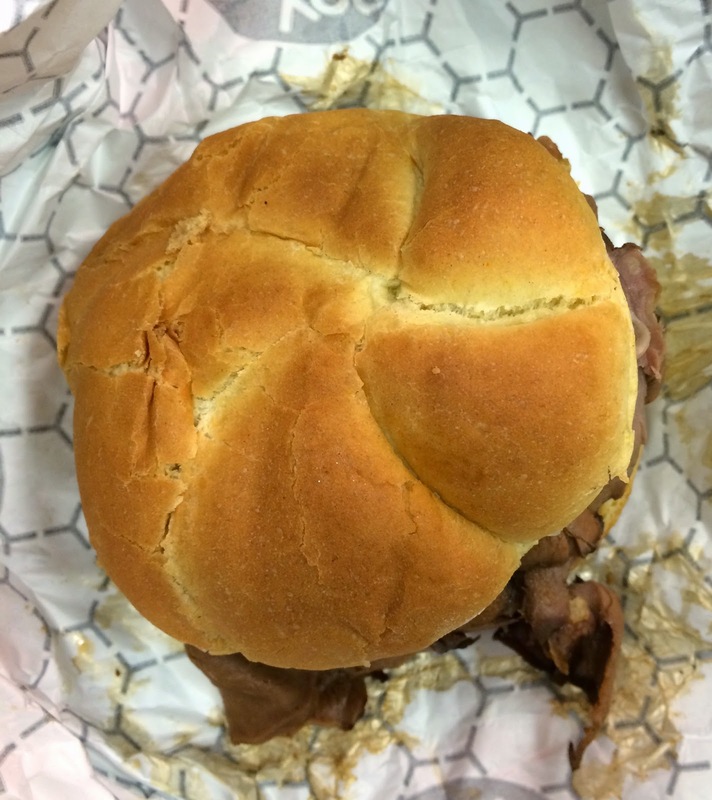 There're so many layers of roast beef between yellow soft buns. 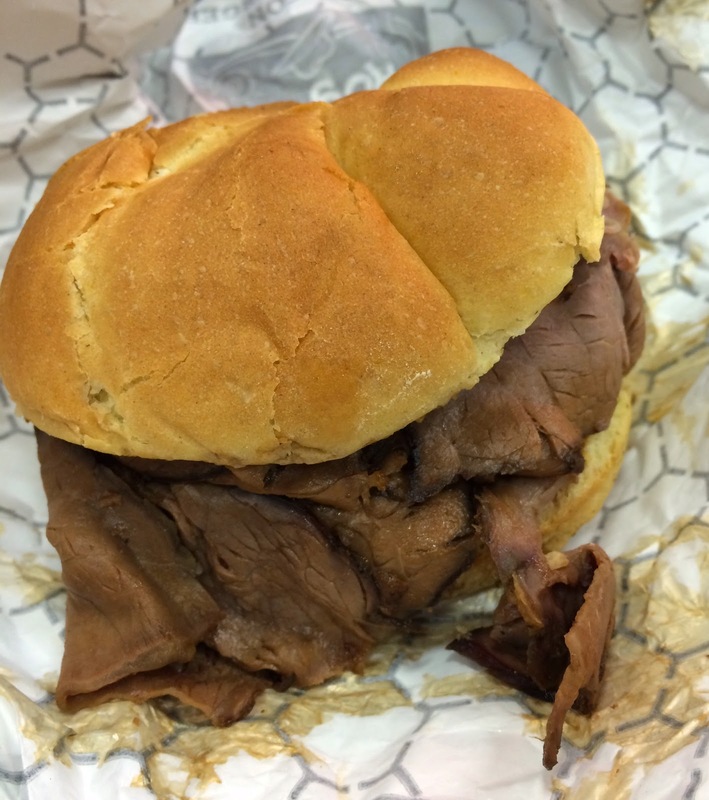 The roast beef wasn't dried and moist. 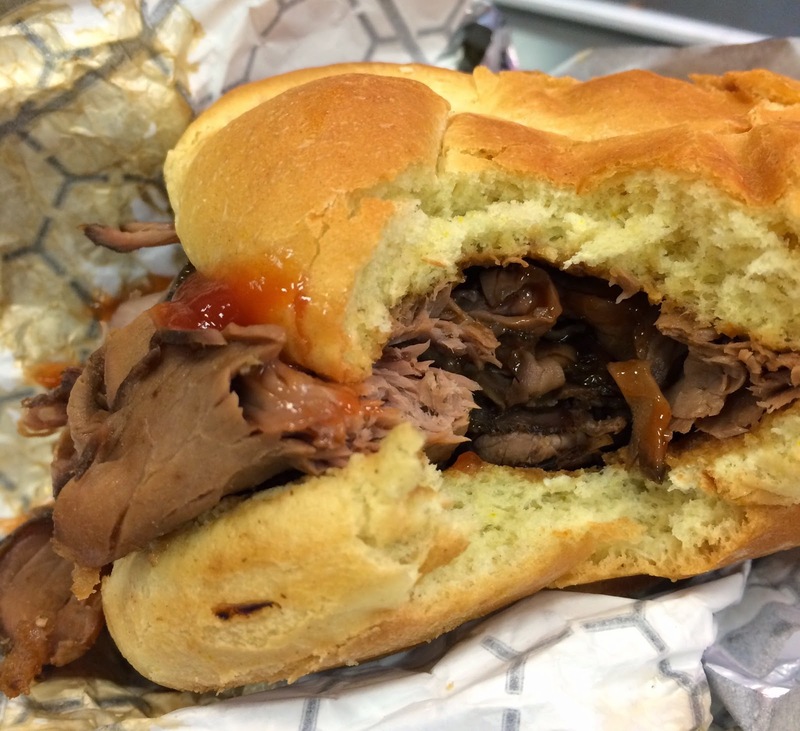 It didn't have any intense flavor but just a soft roast beef which was easily bitten off and not chewy. 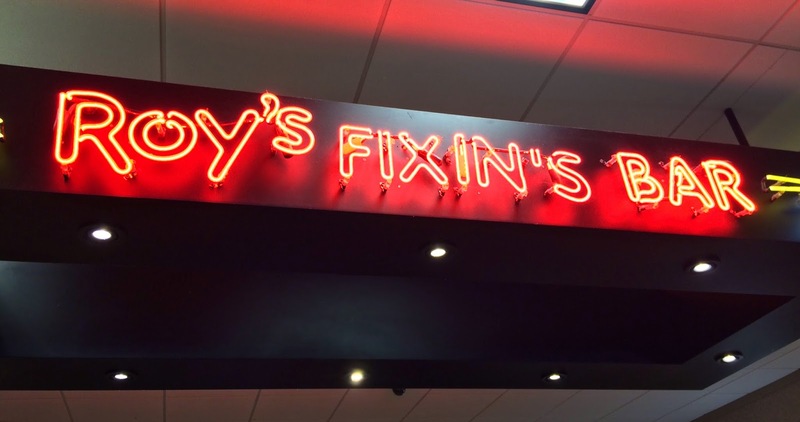 Behind the cash register, there's "Roxy's Fixin's Bar." There're vegetables and sauces for your burger to add on your own. 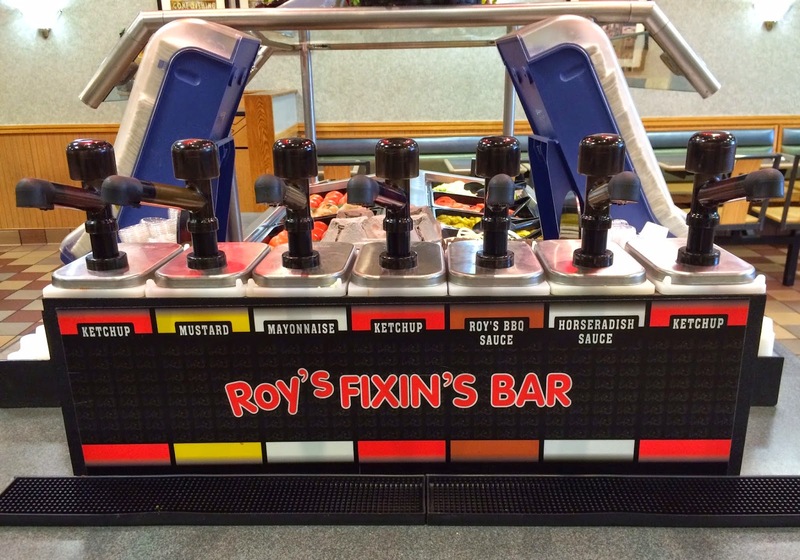 There're 3 pumps of ketchup, 1 mustard, 1 mayonnaise, 1 Roy's BBQ sauce and 1 horseradish sauce. 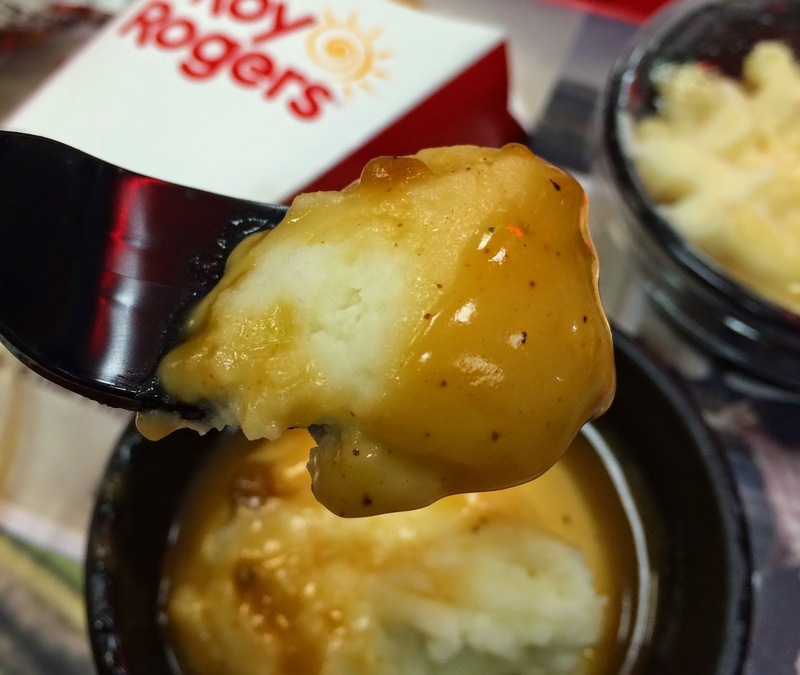 It's a scoop of mashed potatoes and gravy sauce with black pepper. 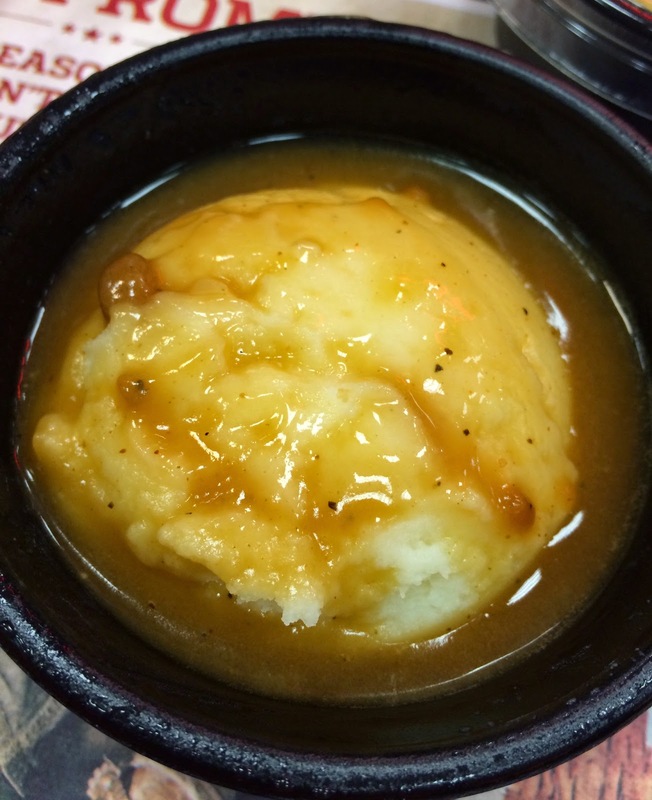 It's a little bit rough and I like KFC's mashed potatoes better as it's smoother and butterier. 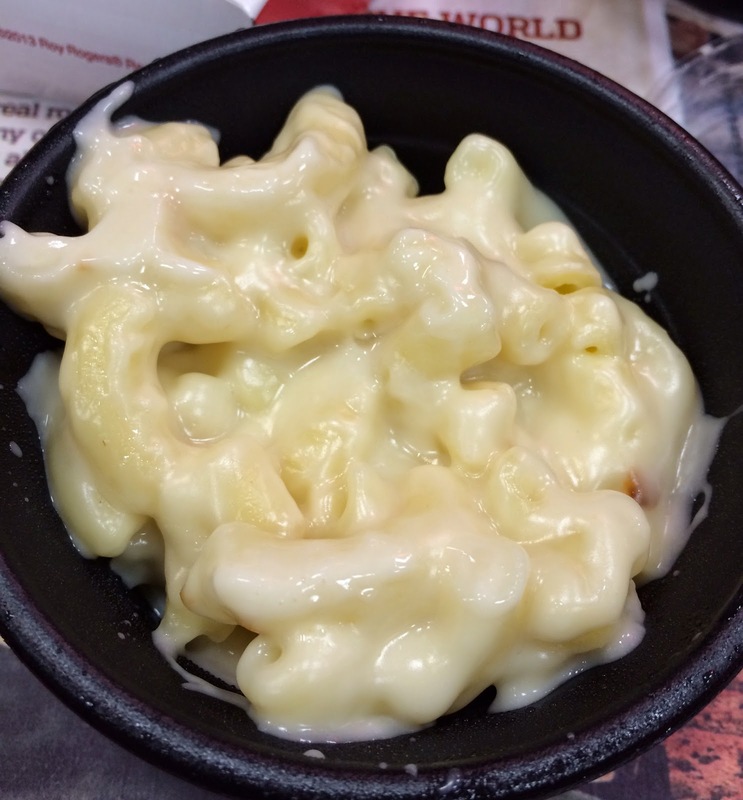 It's white American cheese and the pasta was cooked al dente, not mushy. The sauce was not too light or too thick, and it's perfect. 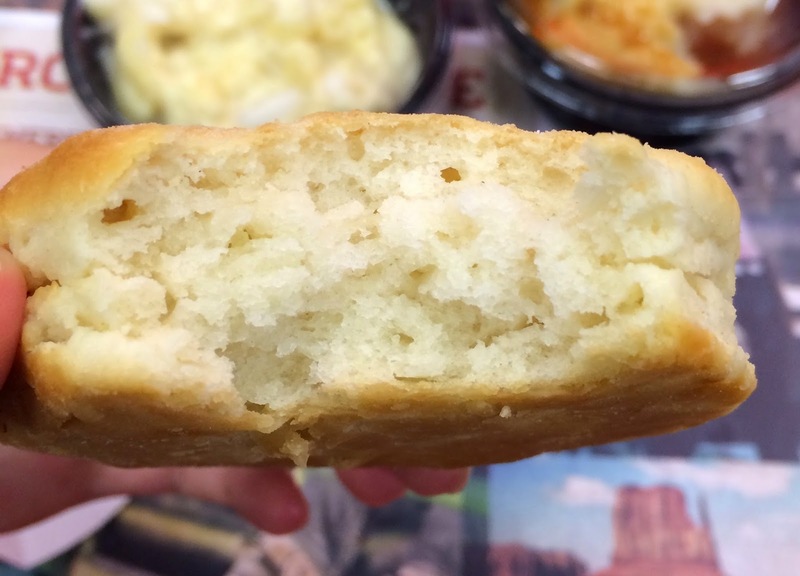 It's crispy and moist inside, and it had very good butter flavor and had salty taste. 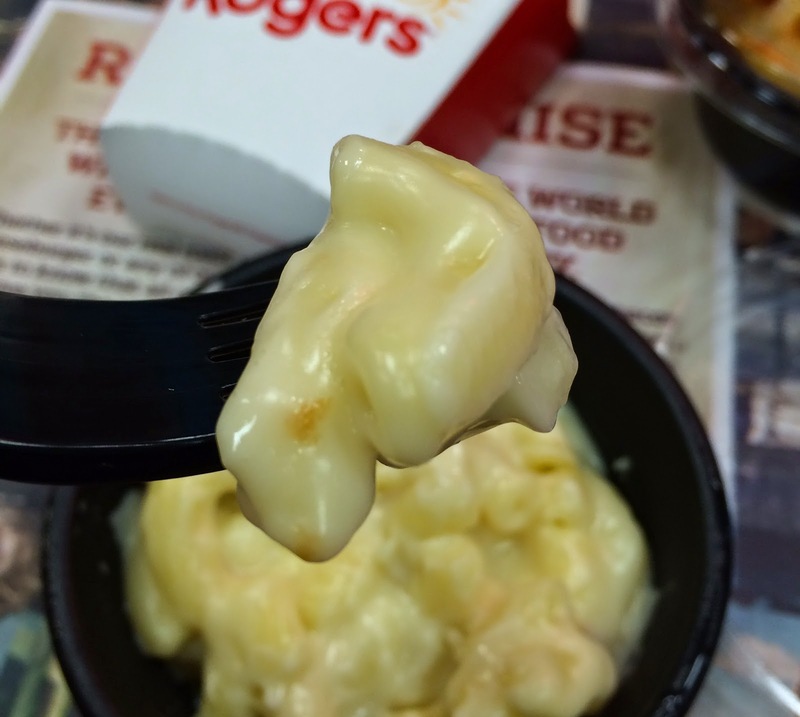 It's firmer than the one form McDonald's so that it didn't break apart, and it's tastier.